This is big change we've been hyping. Will we ever see Harold again? Might he return when he is needed most? Will he strike out on his own and start his own comic that will be dark, grim, gritty, and full of the sorts of things that makes the anti-hero so popular in today's modern comics? By the way, don't you just love that last panel? That was all Harold. 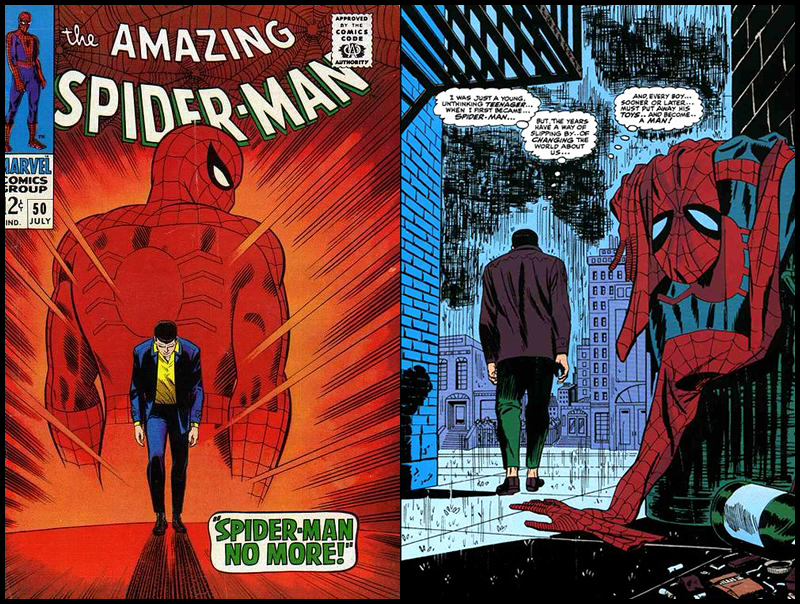 I had written that panel to be just Harold saying that he quit, but Harold came up with the idea of using that panel as an homage to the great John Romita Spider-Man page from Amazing Spider-Man #50 where Peter Parker quits being Spider-Man. See you next week when we Light It Up Blue.